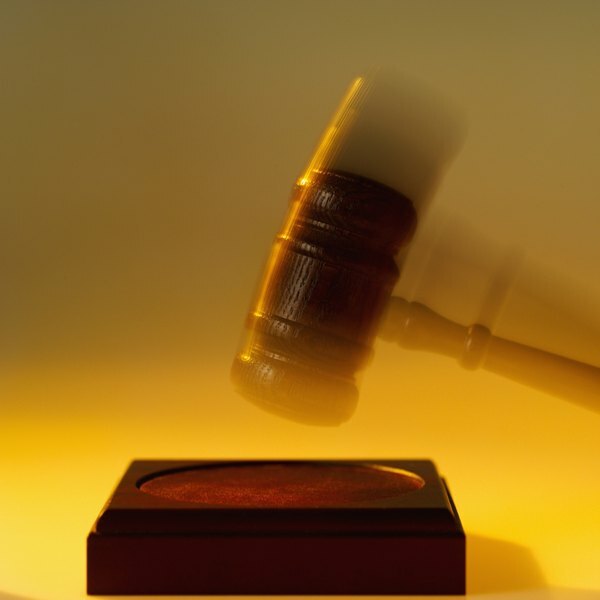 A court can issue a judgment permitting you to place a lien on personal property. 2. Can You Sue Your Homeowners Insurance Company if It Doesn't Repair Your Home Properly? 3. How Much Debt Can You Have to File Chapter 7? As a small business owner, you probably do business with a variety of customers, routinely offer services and enter into purchase agreements. While you expect your customers to act in good faith, you also know that it is not always evident when a business is insolvent and unable to pay your invoices. When faced with the costly task of collecting an unpaid invoice, you may have the option to place a lien on personal property. When a customer has failed to pay an invoice, you have the right to place a lien on their property by seeking a judgment for the outstanding amount in a court. For example, if you run an interior design consulting business and you advise a customer on how to refurnish her living room, but the customer fails to pay the last installment of your consulting fee, your original invoice stating the total fee minus the amounts previously paid will serve as evidence that there is an outstanding amount due. Before placing a lien on personal property, seek a court judgment. A judgment is an order directing the debtor to pay the amount owed. You can obtain a judgment by filing a civil lawsuit in a court with proper jurisdiction; this may be a county court or a small claims court depending on the amount you are owed. The court will rule in your favor provided you give sufficient proof of the amount owed and the court finds that the debtor does not offer a legal reason for failure to pay the invoice. Once the order is issued, the debtor is legally obligated to pay the amount due or be subject to additional measures to satisfy the debt, including seizure of all personal property disclosed to the court in the course of the lawsuit. File the court order or judgment at the county clerk's office in the counties where the debtor's property is located. The location and identity of personal property is usually provided during the court proceedings. Providing notice gives the public notice of your claim to the debtor's personal property. If the debtor has a vehicle, file the court order with the department of motor vehicles in the state of registration. You can also file the judgment with the debtor's bank account. The filed copy of the judgment is legal notice that the property is subject to your lien and cannot be legally transferred to a third party. Upon filing of copies of the judgment, the property is legally attached and you have the right to satisfy the judgment by seizing the property, selling it and applying the proceeds to the judgment amount set forth in the court order. Amounts not repaid remain subject to the judgment and can be paid using proceeds from any additional property acquired by the debtor in the future. US Legal: What Form Is Needed to Place a Lien on a Business I Invested In? What Happens if I Ignore an Insurance Subrogation Letter for Homeowner Property Damage? Does the IRS Have the Right to Garnish or Levy Your IRA? When Are Treble Damages Awarded? What Does Levied Property Tax Mean?